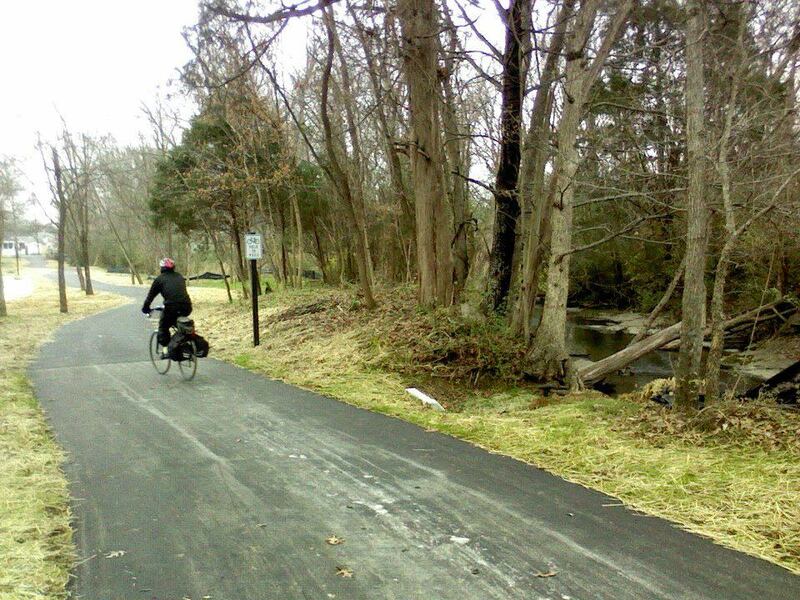 While LaVergne may be several years behind the greenway trend, the very first one will officially open this Friday. Brookside Greenway is located on the west side of I-24 and at 2:00 p.m., the official ribbon cutting is scheduled to take place. Greenways are corridors of protected open space managed for conservation and recreation purposes. Greenways often follow natural land or water features, and link nature reserves, parks, cultural features and historic sites with each other and with populated areas. The majority of people in the neighborhoods of Farmingdale and Dove Creek are very excited and supportive of the greenway, which will eventually be next to a community park. However, the origins deserve some attention. In February of 2006, during the Board of Mayor and Aldermen meeting, several resolutions were passed. A motion was made to hire professional services to apply for a Recreation Trails Program (RTP) Grant for the Brookside Park. Then-alderman Gann said the proposal would be to hire Lose & Associates to complete the grant application. Then-alderman Mosley asked if the city did not get the grant, would the city still have to pay $5000 (the answer was yes). Then-alderman Mosley asked if the city had its own grant writer (the minutes did not reflect an answer given). The motion was made by Alderman Gann and it was seconded by Alderman Waldron. Resolution 2006-02 allowed the application for a grant from the Recreation Trail Program by the Tennessee Department of Environment and Conservation for the Brookside Park. Alderman Gann made the motion to approve and Alderman Waldron seconded. So if anyone wants to know who approved the whole greenway / trail, it is in the minutes. This link might work if you want to see for yourself. The city did win the grant and the board waited until 2011 to follow through with building the greenway. While money is tight this year, if the city did not complete it by December 2011, the money 1) would be gone, and 2) likely prohibit the city from getting future grant money by earning the reputation of not using grant money previously given. In the end, the greenway location is beautiful and any future park located there will be a huge boost for the neighborhood. My sources tell me that eventually when the Brookside subdivision behind Dove Creek and Farmingdale expands, more parking will become available as the park also expands. VISION, my friends. Photo by Cris Lane Photography. thanks for the photo credit! and for the inforamtion on the greenway. there are so many people speaking up negatively about it and i see it as a positive! love greenway systems. i travel to murfreesboro to utilize them. i’m really glad we are on the bandwagon. i see it as positive too. I live in LaVergne and i’ve never heard of Farmingdale or Dove Creek. Where is this again? Off Waldron Road about half a mile west of the I-24/Waldron Road interchange. Turn right into the subdivision at the 3-way stop sign just past the carwash. Can I just add that although the current mayor voted “No” on the initial plan, I am proud to have a mayor that follows through. If LaVergne had sat on unused money – grant dollars that another city would have used it – we would have been blackballed from getting future grants. Again, this goes back to vision: 1) vision that the city will eventually have more greenways; and 2) vision that NOT building it could potentially cost the city perhaps millions of long-term dollars in future grant money. Thanks for the article which “clarifies” the greenway project & how it came about. I don’t have a problem with greenways, including this one. But it seems tomethat in the time I have been here, everything done looks like an afterthought. For one, you have property owners who now have a parking lot in their front yard. On top of that, did they haveto pave the parking lot “around” the pole? It looks ridiculous. As far as the grant, do you have any evidence that not spending the grant money would have negatively afeected us? Did the grant stipulate the location of this Greenway? I don’t know if this qualifies as evidence or not but during a grenway committee meeting the city engineer stated that he talked to the state at great lenghts about not doing this project. The state told them if they refused to go forward with a grant that had been awarded it would be “next to impossible” for us to get another grant for anything. The location does seem silly but when the grant was applied for there was to be a second housing development built just south of the area which was to include a park and parking. The developer backed out of the deal so hence the greenway doesn’t connect anything yet and by doing so screwed the city as they did not have a choice not to go forward with it. The grant expires January 1st, 2012 so it had to be built as described in the original grant by then. All this information came from a greenway committee meeting so I assume there are minutes somewhere to back up what I am telling you. Thank you for that information. So offten people say things with no basis and just expect people to believe it. Still, I wonder how legal a statement it is for the state to tell a broke city “if you don’t spend this money now, we’ll never give you money again?” And I do wonder how many times this threat has been used, with the economy and local revnues down, I have to believe there are a lot of matching grants that were returned by municipalities. There is always a choice. Possibly making it more difficult to get grants in the future does not mean that something that makes little sense now (both financially and the lack of the greenway currently going anywhere) should be done. Especially considering the fact that the land may never be developed causing the short expanse of a greenway to never be expanded. So basically this whole thing was not done because residents in the immediate vicinity wanted it (all that I have talked to directly impacted by this did NOT want this) or that it was very useful at this time (since it is only a quarter of a mile long and goes nowhere), but rather due to the fear of not getting a grant in the future. Sounds messed up to me to be doing actions based on a threat rather than planning this out well (both with community surveys — which there were none when this grant was applied for as I have lived there since before that time — as well as ensuring this wouldn’t be something that is left for an undetermined amount of time as-is). Why don’t we plan better and not give in to threats and get the community better involved in decisions like this? Rich, you are absolutley correct. I was in the meeting with the state when that was told to us. You always get your facts right. Thank you for all you do for this city. Yes the grant had to be used for the location stated on grant application. I hope that someone applies for a grant that will bring playgrounds and/or a community pool or a greenway to Lake Forest. There are several tracts of land near my house that would be perfect for a playground or some sort of green space. Maybe a Gazebo or picnic tables. I was also wondering what it would take to have formal entrances to the subdivision from the main streets. I see neighborhoods that have nice signs and landscaping. Something like that goes a long way to giving a positive or negative reaction to the neighborhood because that is the first thing people see. I am very happy that we have a Greenway now. I had hoped that it would be close to the center of the LaVergne population, easy to access by foot or on bike. But better to have a Greenway than not, even if it’s out of the way for most of us.